It’s the 3rd week of the year and the card of the week is the 7 of Cups. 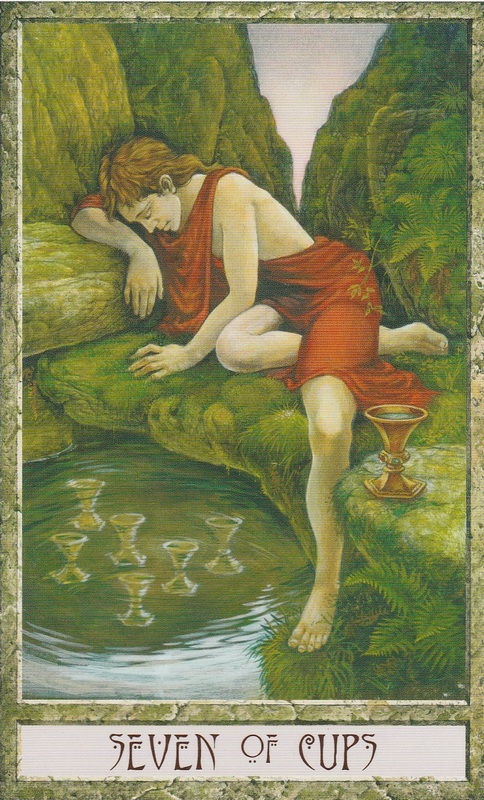 The 7 of Cups is all about dreams and visions and the number of the week, 3, is all about things coming together. This week take note because your dreams may being to materialize in real life. And this is only the beginning. Lucy Jupiter stations retrograde in February, bringing luck and success with it. We’ve already started to feel the effects and it will only get stronger. So be conscious, be present and be grateful for all that you have and all that is coming to you. Mantra: I believe in the power of my dreams. 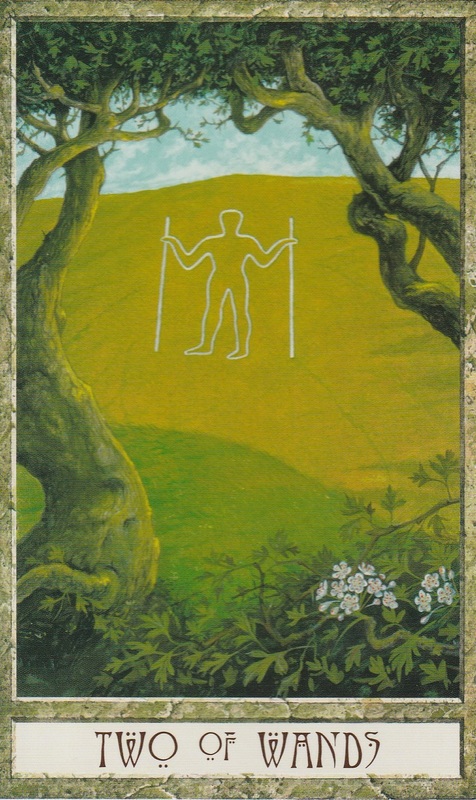 The Two of Wands is a card of discovering your potential. You know what you’re capable of, now prove it. Mercury sextile Neptune at 1:29 PM PST will bring creative sensuality. It is a transit of discovering potential in creativity, romance and emotions. Let your fantasies come alive. Moon trine Uranus at 8:36 PM PST will find you craving a break from the norm. Do something new and exciting to settle restless feelings. Moon trine Venus at 8:56 PM PST may leave you feeling lazy and lethargic after the burst of energy that came from Moon trine Uranus. Take it easy and indulge in something relaxing but beware of frivolous spending and consumption in excess. The Moon is in the upbeat sing of Sagittarius today, bringing optimism and confidence to everything you do. The number of the day is 7, a number that reminds you to reassess you that you’re more talented than you think. Don’t be shy about your talents, embrace them! The Prince Knight of Swords is a reckless, traditionally male card that is all about rushing right into things without a plan. He is headstrong and will have his way no matter what. If the knight does not represent you, he represents someone you will encounter today. Moon sextile Jupiter at 12:38 AM PST will bring confidence and optimism to the wee hours of the morning. Moon conjunct Saturn at 2:38 AM PST could tempt you to focus on your failures in shortcomings in relationships. If you’re asleep during these transits, these theme may appear in your dreams. The Moon goes void of course with Moon square Mars at 9:33 AM PST so this is a time to let things come to you. You may feeling pugnacious and irritable so avoid conflict with people and if possible, blow off some steam with exercise. The Moon enters the strict sign of the teacher, Capricorn at 2:43 PM PST. 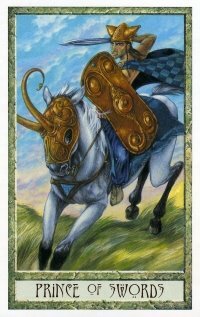 The Capricorn Moon reminds the hasty Knight of Swords that we are a disciplined approach to life brings the order we seek in the midst of chaos. The number of the day is 8, a number that reminds us everything we do comes back to us in one way or another. Mantra: Look before you leap. 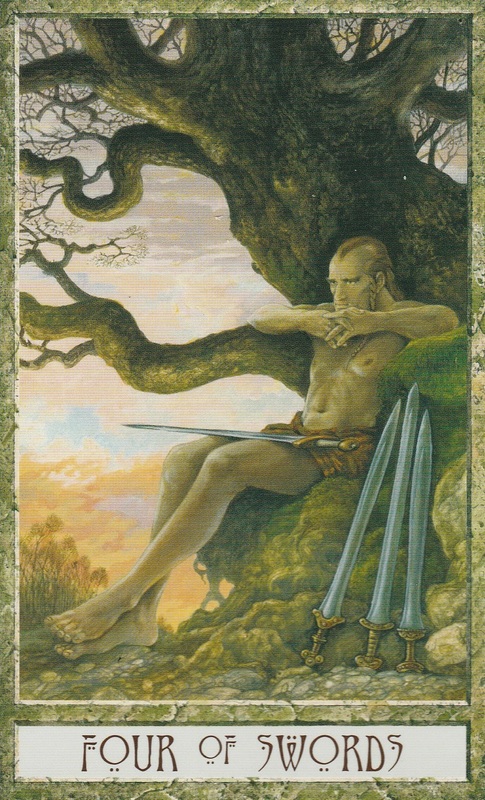 The 4 of Swords appears when a much needed break is needed. If you feel overwhelmed or just drained and tired, it’s time to do yourself a favor and give yourself the rest you deserve. Moon sextile Neptune at 11:07 AM PST brings psychic, intuitive energy to your morning. Follow your intuition. Moon conjunct Mercury at 3:58 PM PST will give you the space you need to talk about your feelings and put any disagreements to rest. The Moon is in the hard working sign of Capricorn so don’t be too hard on yourself if you don’t accomplish what you set out to do today. The New Moon is just around the corner and it’s time to rest and recharge. Mantra: A little rest never hurt anyone. 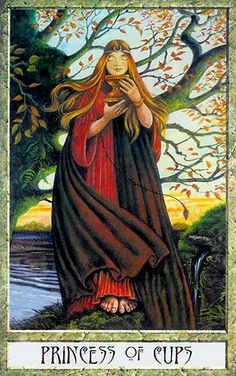 The Page of Cups is a traditionally masculine card that heralds the spark of new connections – romantic, creative or otherwise. Let your feelings flow and follow your heart. Moon conjunct Pluto at 1:22 AM PST bring intense, overwhelming emotions. Try not to obsess over things too much. Moon square Uranus at 7:18 AM PST could bring deceptive illusions to your early morning. Moon square Jupiter at 11:15 AM PST could leave you feeling egotistical in order to portray a false sense of confidence. Just be real. Moon trine Venus at 12:05 PM PST will grace the afternoon with it’s lovely, positive energy. Find a way to appreciate the arts and nature. The Moon goes void of course with Moon sextile Mars at 11:17 PM PST. Show leadership through soft, not hard power. The number of the day is 1, a number of new beginnings. The Tower appears when life changes in a flash. Many times, the events brought on by the Tower are so shocking, they leave your life permanently changed. I’ve also seen this card predict bad weather and natural disasters. Whatever happens today, things will be shaken up and know that you will not face what comes next alone. Venus square Saturn at 9:50 AM PST may leave you feeling cold, lonely and depressed but don’t let your fears separate you from others. Reach out. Moon opposition Sun at 4:07 PM PST brings the New Moon in the Revolutionary sign of Aquarius. Mercury Retrograde is also 100% over today so it’s time to jump into your goals and dreams. Lucky Jupiter goes retrograde next month and will bring opportunities for abundance and success so get your head in the right place and set goals that will push you forward. Mars comes home to Aries at 9:39 PM PST where He will stay until 3/9/17. When Mars is in Aries, all the qualities of Mars ruled Aries are amplified. Aries is the first Zodiac sign and signals new beginnings. It is like the germination of a seed and holds all the potential to come. Aries is adventurous, courageous and even a little reckless. However, this raw power can go to people’s heads and make people feel egotistical and selfish. 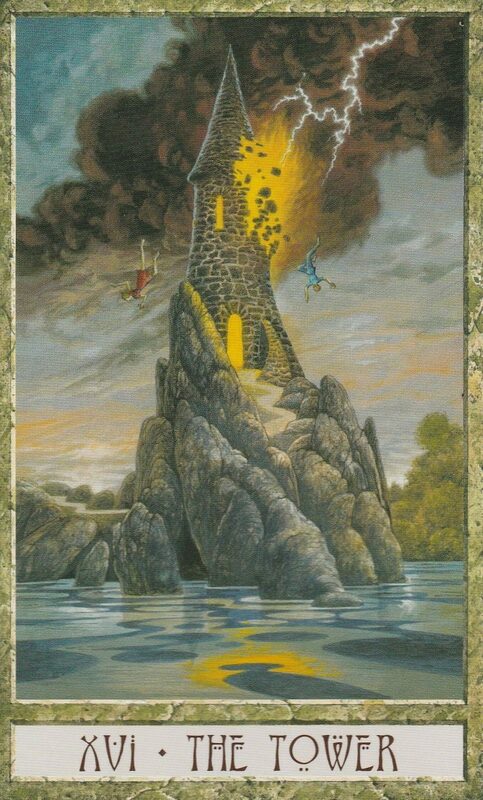 Since Mars also rules the Tower and it’s New Moon, these new beginnings will be drastic. The number of the day is 2, reminding us that going through trails is easier together than alone. Mantra: I’ll be your shelter from the storm. 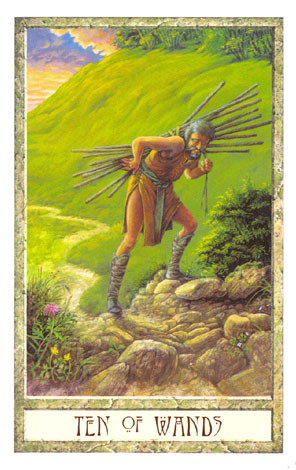 The 9 of Wands is a card when things seem like they’re just too much. The load is heavy and you feel like you can’t possibly go any further but relief is just around the corner. Keep pushing through to the end. Moon sextile Uranus at 3:39 PM PST brings revelations and revolutions. This is a time to try new things and meet new people. Moon trine Jupiter at 7:28 PM PSt brings happiness, harmony and flow to your evening. Moon sextile Saturn gives you the levelheadedness to keep pushing and do what needs to be done. The Moon is still in the revolutionary sign of Aquarius so do everything today in the name of freedom and revolution. 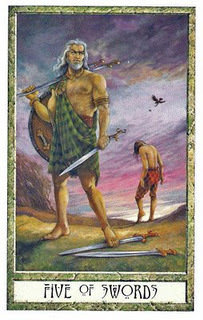 The 5 of Swords is a card that appears when everyone loses. Traditionally, there are two men on the card. One is crying and the other is walking away with a smug look on his face. Although the “winner” thinks he got the best of the other man, he actually lost a friend and his life will be colder because of it. The Moon is void of course in Aquarius until 8:10 AM PST when it enters the mysterious, flowy sign of Pisces. When the Moon is void of course, it’s best to wrap things up. In this case, it’s recommended that you get conflicts over with before they start or it will end badly for everyone. Mercury conjunct Pluto at 12:21 PM PST bring intense mental activity. You will have the power to get to the bottom of things and sway people to your side. But those who resist you will fight back with full force so choose your words wisely. The number of the day is 4, reminding us that every conflict stems from lack of balance. Mantra: Winning isn’t all it’s cracked up to be. This entry was posted in art, Astrology, dreams, mysticism, mythology, numerology, occult, self help, spirituality, Tarot, witchy, Writing and tagged abundance, astrology, biddy tarot, card a day, divination, dreams, empowerment, inspirational, magick, manifestation, mantra, meditation, Mercury Retrograde, metaphysical, motivational, mysticism, numerology, occult, pagan, predictions, psychic, self empowerment, self help, spirituality, tarot, tarot reading, tarot weekly forecast, wicca, witchcraft, witchy, writing. Bookmark the permalink.